Bed bugs are a huge nuisance in our area. They are easy to spread but difficult to get rid of. Bed bugs can bite and they can be in the cleanest of homes, hotels and restaurants. They can even get into your car or vehicle! Bed bugs are found throughout the world and are significantly increasing in numbers in North America as well as in many other countries. Even though we do not understand fully all of the reasons behind this increase, we suspect possible contributing factors such as a reduction in the use of urban pesticides, the more extensive world travel of different cultures and resistance to pesticides. This sudden increase in bed bug infestations has resulted in anxiety among the public, increased negative exposure of the hotel industry and a need to educate public health officials and pest control professionals on safe and effective control measures. During the last decade, there has been a significant increase in the number of bed bug infestations reported from homes, resort hotels, apartments, universities and cruise ships. The females produce 2 to 3 eggs every day throughout their lifespan, which can be several months. The elongated eggs are cemented in cracks or crevices close to the hosts. There is no larval stage; the young hatch as nymphs, mini versions of the adults. The key to minimizing the likelihood of a bed bug problem is to educate yourself about bed bugs before they become an issue. Get familiar with what bed bugs look like. The adult bed bugs are easy to spot. They are dark brown and are about the size of a tick. Baby bed bugs (nymphs) are more of a challenge. They are usually tend to be translucent and very small. Regardless of what part of the growth cycle a bed bug is in, they are very flat. This means they can hide nearly anywhere. 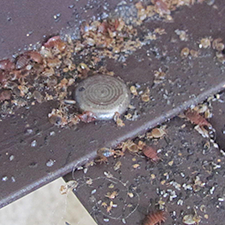 Forget this idea that bed bugs thrive in a filthy environment. 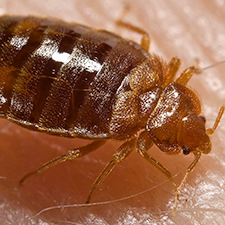 Unlike roaches and ants, bed bugs are right at home in an immaculate, luxury hotel. All a bed bug needs is a place to hide and a nearby human to snack on. Inspect your hotel room. Two of the most frequent hiding places for bed bugs are the mattress and the headboard. Take it upon yourself to look, before you unpack your suitcase. Place your luggage on a metal rack or other stand as far away from the bed and walls as possible. This will reduce the risk of unwanted stowaways. Pack only what you need for your trip. Before you go home, consider visiting a coin-operated laundry. Toss your clothes (clean and dirty) in the dryer for a few minutes, until they are heated all the way through. The heat should be enough to kill the bed bugs and the bed bugs eggs. This should prevent an accidental infestation of your own house. Declutter. The fewer hiding places your provide, the less likely the chance of infestation. Talk to your neighbors, especially if you live in close proximity such as an apartment building or condominium. Consider buying a mattress cover and caulk all cracks and crevices in your bedroom. The fewer places a bed bug can call home, the better. Using a new and proven biopesticide, we’ve seen incredible success with controlling the bed bug infestation in just one treatment. The method we use is both natural and non-toxic, killing the bed bugs, but not affecting your pets or kids. Treating hotel rooms quarterly will protect them year round. First, bed bugs don’t transmit diseases, and aren’t generally considered a threat to your health. As with any insect bite, bed bug bites can be itchy, and some people’s skin may be more sensitive than others. 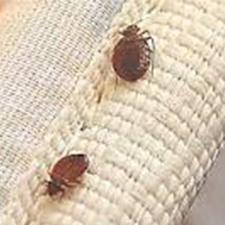 Second, bed bugs are not a product of filth, and will inhabit even the cleanest of homes. Don’t assume your house or your hotel room is too clean to host bed bugs. If there’s something for them to eat (usually you), bed bugs will be just as happy in a 5-star resort as they will in a cheap motel. Third, bed bugs are nocturnal. That means they’re only going to show their faces at night, when it’s good and dark. Don’t expect to walk into a hotel room in broad daylight and see bed bugs crawling up the walls. Fourth, bed bugs are small, really, really small. You can see adult bed bugs if you know where to look, but viewing bed bug eggs will require a magnifying lens. Because they’re so tiny, bed bugs can hide themselves.